ReportingMD is uniquely positioned to report on all aspects of MACRA as a qualified registry, Qualified Clinical Data Registry (QCDR), and ONC certified EHR. 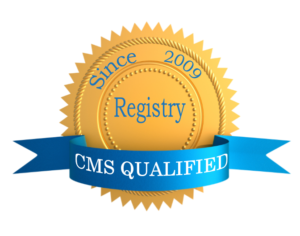 To qualify for the CMS incentive programs you must use an EHR that is certified specifically for the EHR Incentive Programs. The TOM v9 EHR Module is 2014 Edition compliant and has been certified by an ONC-ACB in accordance with the applicable certification criteria adopted by the Secretary of Health and Human Services. 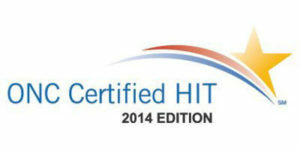 This certification does not represent an endorsement by the U.S. Department of Health and Human Services. ReportingMD’s TOM v9 application was certified on December 22, 2015; Certification ID# IG-3350-15-0069 using certification criteria 314(c) (1)-(3) and 314(g)(4) for all ambulatory CQMs. As a qualified registry, ReportingMD collects clinical data from an individual MIPS-eligible clinician or group and submits it to CMS on their behalf. Clinicians work directly with ReportingMD to submit data on the selected measures. Client must have valid active license to use the TOM product. No other limitations or additional costs apply.